A Vineyard in the Dão region. Photo courtesy of ViniPortugal. 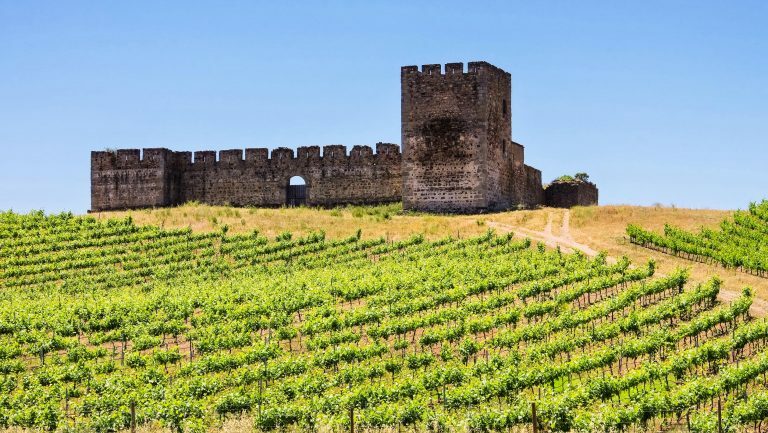 Portugal has made waves over the past decade, garnering particular recognition as a quality wine producer and travel destination over the past five years. 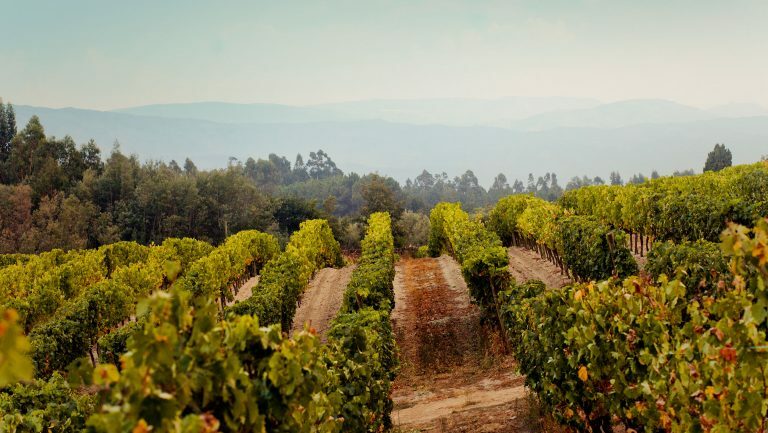 Once valued by enophiles solely for its production of sweet, fortified wines like port and Madeira, Portugal is now known for its array of table wines made from indigenous grapes across varying climates and topographies. Vinho Verde is a warm-weather staple among consumers, and dry Douro reds—along with their cornerstone grape, Touriga Nacional—are well respected for their concentration and quality. But there’s a lot more to Portuguese wine than these few regions and styles. 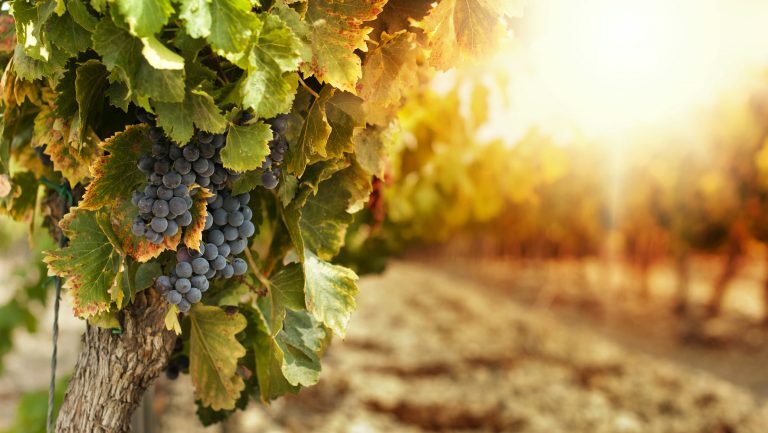 The number of appellations, varieties, styles, vintners, and quality levels that have emerged in recent years make it difficult to pinpoint the wines that will be the next standouts from this small yet rapidly evolving wine community. But a mentality that embraces the unique—from the grape to the vintner to the style—weaves through Portugal’s most exciting wine regions and promises to carve a path for the future of Portuguese wine. Portugal has been producing wine for thousands of years, but its political history hindered the development of modern winemaking. The Salazar dictatorship isolated Portugal from the rest of the world for more than 40 years and influenced its wine landscape by encouraging cooperatives over small producers and removing the wines from competition in export markets, since they were almost entirely consumed domestically. It wasn’t until Portugal joined the European Union in 1986 that modern Portuguese winemaking really began. “With great investments,” Eugenio Jardim, a former sommelier and the current U.S. ambassador for Wines of Portugal, says, “the wineries were modernized, the appellation system was reorganized, and the winemakers became more savvy.” But even though modern techniques eliminated unwanted rusticity from Portuguese wines, they also favored homogeneous, likeable flavors. Large producers had an upper hand over smaller ones, so that most of what was imported to the U.S. was mass-produced and sold primarily to Portuguese communities. A vineyard in Alentejo. Photo courtesy of ViniPortugal. Several regions producing table wine show promise to follow in the footsteps of Vinho Verde and the dry Douro reds. Coastal Bairrada is the most buzzed about of these, primarily because of its signature Baga grape, a finicky variety typically compared to Nebbiolo and Pinot Noir. Like these two grapes, Baga can be harsh and rustic when it’s not grown and vinified under optimal conditions, which was formerly a challenge for winemakers in the region. “A lot of winemaking techniques used to produce the great Pinot Noirs of the world are now used to produce great Baga as well,” says Jardim. With the right vineyard and aging techniques, Baga can produce ethereal, age-worthy wines. “It was because of Baga that I started exploring Portuguese reds,” says Irene Justiniani, the general manager and beverage director of Aldea in Manhattan. Particularly because she regularly pairs Portuguese wines with seafood, Justiniani also emphasizes Bairrada’s potential for sparkling wines, a category that has long been accepted in Portugal’s domestic market. The region’s Atlantic influence preserves both acidity and fruit character, and Baga’s high natural acidity provides a good backbone for bubbly. Vines in Alentejo. Photo courtesy of ViniPortugal. Another white grape that shows great potential across Portugal is the refreshing Arinto, which Block likens to Sauvignon Blanc—without that variety’s grassiness. It’s most prominently cultivated on the old vines of historic Colares and Bucelas, just minutes outside Lisbon, but production is often threatened by urban expansion. Jardim also notes that white wines from the Douro, most of which combine freshness with concentrated fruit and round mouthfeel, are remarkably underappreciated. Portugal hangs its hat on indigenous grapes, but one prominent area still embraces international varieties. Warm, southern Alentejo has adopted a tradition of blending similar to that of Tuscany, mixing global grapes like Syrah with local varieties like Alicante Bouschet—a grape that is actually native to neighboring Spain but which Alentejano winemakers consider their own—Trincadeira, and Antão Vaz. The region’s growing ranks of small winemakers are also steering away from copious amounts of new oak. “There’s an understanding that if you use too much oak, you’re inherently masking the identity of the provenance,” says Goldstein, who also works on behalf of Wines of Alentejo, representing the region through seminars for the trade. But Alentejo’s size presents a definition problem of its own, which is why Goldstein distinguishes among the large region’s eight subzones during educational seminars. “Having a basic understanding of the general provenance of Alentejo wines will help you understand the style of wine,” he notes, adding that it could become more common in the future for producers to include the subzone on a wine’s back label. While Portugal may not have an extensive history of modern winemaking, it’s one of the most exciting, swiftly changing wine areas today. This article just scratches the surface of what can be expected from Portuguese wine in coming years. One could write a book on the array of unique, quality wines coming out of Portugal—but by the time it was published, the landscape would probably already be radically different.